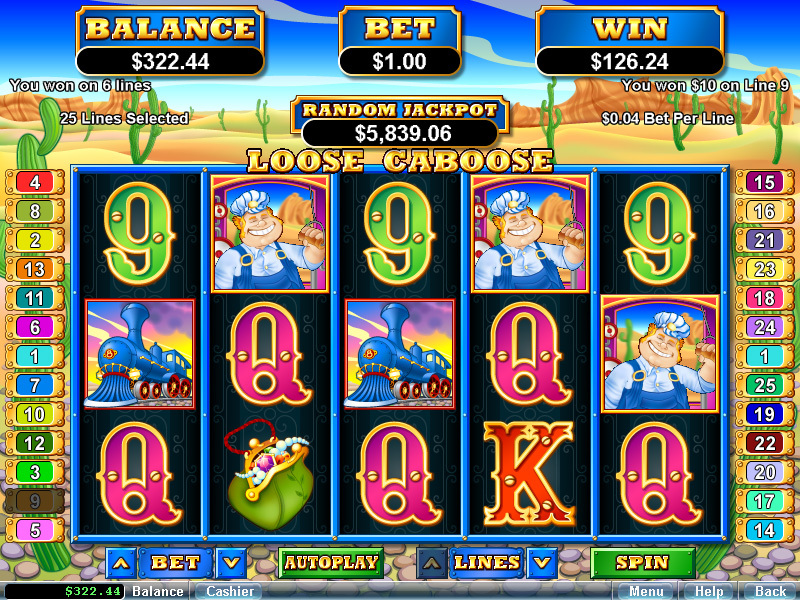 Loose Caboose is another decent online slot to play at RTG casinos. It features 25 paylines, a wild symbol, and a free spin bonus feature. 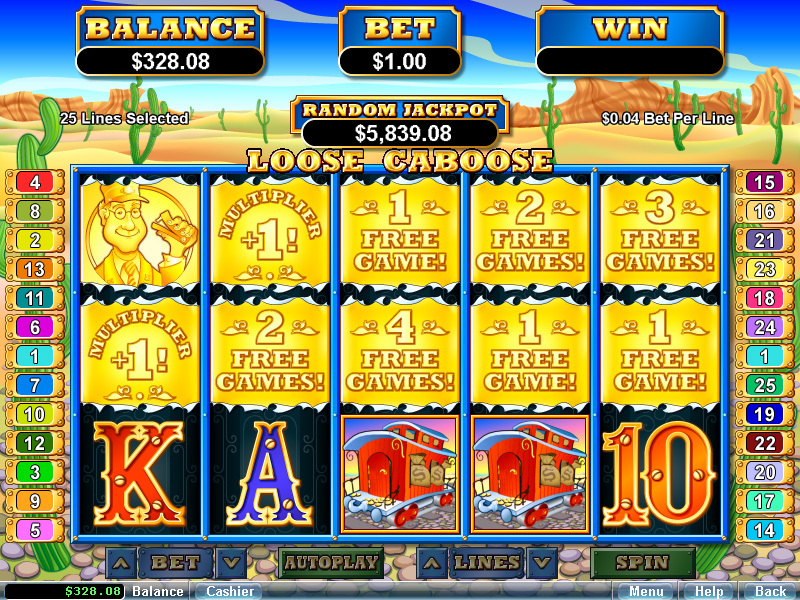 Free spins are triggered when 3 or more scatter symbols land on the reels during a spin. 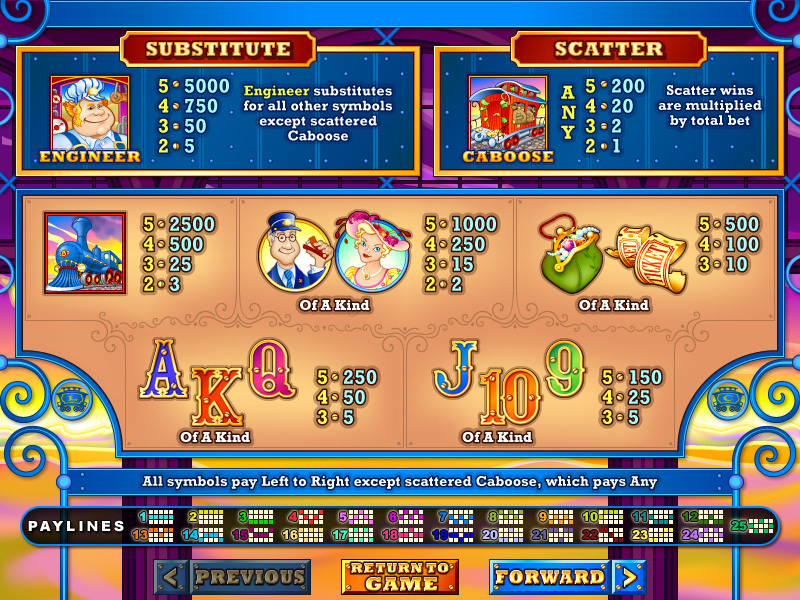 After the spin is complete, the “Cash Train” rolls across the reels on the top row revealing free spin amounts, multipliers, and/or extra wild symbols. The Cash Train may then come back to roll across the middle row, and possibly again across the bottom, revealing prizes as it goes. I have had it go across all three rows, but it usually only goes by once or twice. I find the wild symbol tends to show up more often than other games, but the scatters can be quite scarce at times. 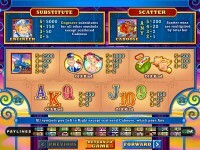 Don’t try too hard to get free spins in this game, if it’s not hitting just walk away. 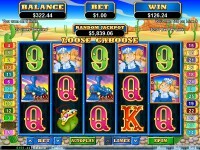 I’ve gotten frustrated a few times playing this slot, but it has paid me very well at times too. See the screenshot below, one gives paytable information, one shows an example of the wilds showing up often, and the other screenshot shows the result of the Cash Train going by twice. 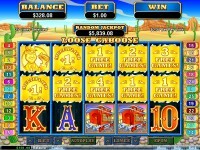 Play Loose Caboose today at any of these RTG online casinos.